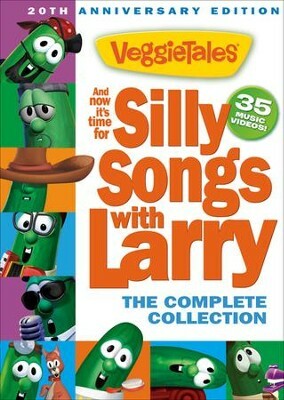 Join Larry the Cucumber for the silliest collection of songs you've ever heard! Have fun and laugh along to songs about everything from lazy pirates to missing hairbrushes. With over 35 toe-tapping giggle-inducing tunes, it's a silly song extravaganza. I'm the author/artist and I want to review Silly Songs With Larry: The Complete Collection.